Wishing all our colleagues, clients and friends a very Merry Christmas and all the best for the New Year. 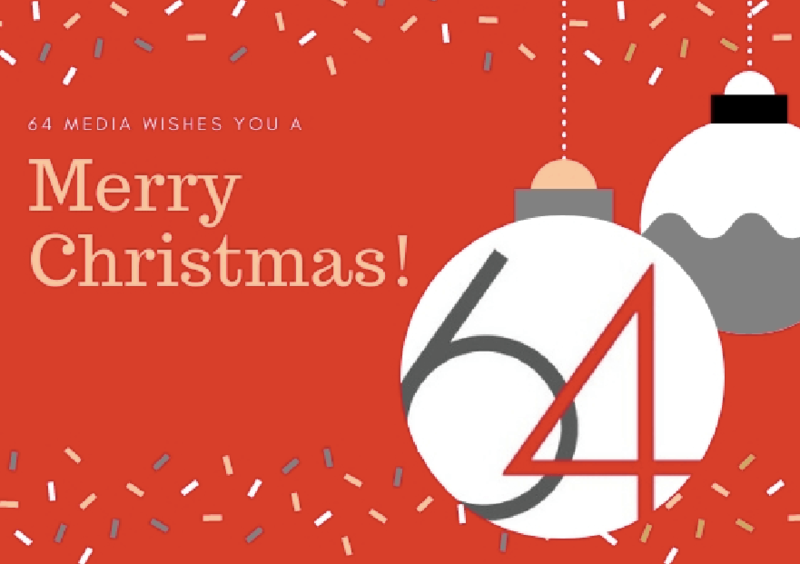 The 64 Media Office will be closed from 21 December 2018 until 7 January 2019. For emergency PR assistance during this period please call 0407 071 121.